You want to change America? Start praying. In superhero stories and movies there’s usually only one person who can stop the villain. In most cases the villain knows this, so he goes after that one because if he can get him or her out of the picture he’s free to terrorize the world. John sounds like he had a revelation of the light, who we find out to be Jesus of Nazareth. He’s the Word that was with God in the beginning. The word of God is not something static and powerless like people make it seem sometimes. The Word is living and powerful and full of light that pierces the darkest darkness. This bold statement that the darkness does not overcome the light has to have proof in order to be a valid statement. And it does have proof. In Jesus’ name (all that He stands for and upholds) nations have been changed, cultures have been shifted, demonic powers have been bound and broken, captives have been set free, countless lives have been changed. 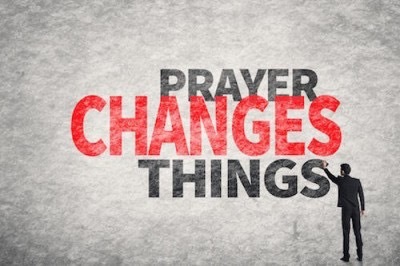 The power of a person who prays in Jesus’ name can change the world, can change America. Praying in His name is not some rote method, but it means praying with a heart that is in line with all that He stands for and upholds. The enemy of your soul, the devil is real and the first thing we must recognize is that all the things happening in our land causing all the commotion are spiritual issues. I’m talking about all the racial discrimination, as well as the strife in the political arena and whatever else is stirring today. These things don’t just happen. There is a real war going on in the invisible spiritual realm and we are called to action. The enemy knows that he’s no match for a praying follower of Christ, so he’s gonna do all he can to distract you from the mission. If you’re a believer reading this, I’m reminding you that you have power to change our nation. Don’t get caught up in the strife of the people. You are seated in heaven with Jesus. How would you pray if you were literally in heaven with the Father and with Jesus? You’d probably be making some bold declarations! Jesus said if we have faith, whatever we ask for in prayer will be done for us (Matthew 21:22). The Bible tells us that the reality of Christ followers is that our spirits are seated in heavenly places in Christ Jesus (Eph. 2:6). This means your prayers can literally push back darkness and cause light to break in. Jesus told us to pray “your kingdom come, your will be done on earth as it is in heaven” for such a time as this. Grace and peace 2u.